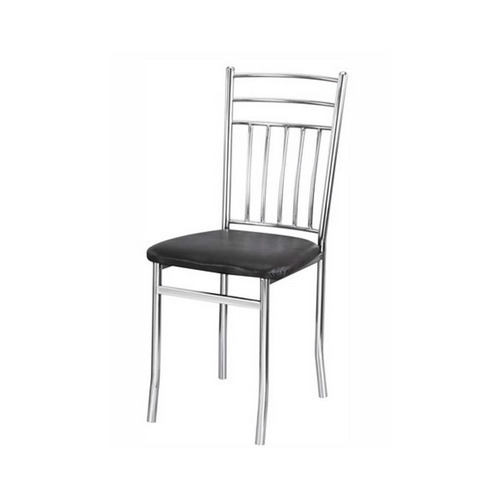 Owing to perfection and quality oriented approach, we have carved niche in the industry by offering an enormous grade array of Steel Cafeteria Chair. Renowned for its elegant design and perfect finish, this chair is designed using the best quality material and hi-tech tools, in sync with industry norms of the industry. This chair is offered in diverse specifications, in order to fulfill exact needs of our clients. Apart from this, clients can avail this chair from us at market leading prices. Incepted in the year 1994, MBTC IntraFurnish Private Limited is listed among the most noticeable firm of the industry involved in manufacturing and wholesaling and retailing of a wide variety of Designer Chair, Designer Table, Designer Sofa, Bar Stool, Folding Shoe Rack. These products are tremendously demanded and cherished by a number of customers owing to their premium quality, fine finishing, durability and longer life. Offered products are designed and developed by employing high quality material and other related components in obedience with the laid industry standards and norms. These products are widely utilized in schools, residences, restaurants and other several places. Besides, our customers can get these products from us at reasonable prices.